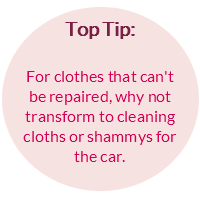 Our top tips for a thorough Spring Clean. As part of our happiness series, we thought we’d start with a good ole clear out. Nothing makes me feel more ready for a new start and a fresh year ahead than a really good ‘Spring’ (used loosely) clean. If you’re faux tree or garland is looking a little past its sell by date, why not transform it for next year? Look to Pinterest for inspiration on ways in which to reuse your decorations. Documents to keep a lifetime– Driver’s paperwork (licenses, ownership details including documents of cars sold), birth and marriage certificates, national insurance documents, national health documents, mortgage paperwork. 7 year rule– applies if you’re to submit your own tax records. HMRC can come back any time within that period and ask for detailed information you provided in your tax returns. 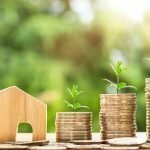 2 years minimum– for all bank statements and bills (including debts and household utility). If you manually pay your bills make a note of the date and amount paid on the document therefore should any query come up it’ll save you mountains of time. 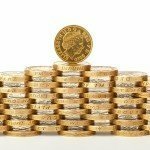 22 months– is the recommendation from HMRC when it comes to keeping payslips and P45s etc. As long as it’s valid– this really applies for guarantee/warranty and insurance paperwork. Invest in a small filing cabinet– I have a two draw system. I have files for: each utility, a misc folder which contains personal documentation (tax, passport, certificates etc. ), car, pension, appliance folder for manuals and guarantees, bank statements for each person, etc. Spare a few minutes once a week/month– add newer documents to the front of the folders which also keeps the system in date order. Clear it out once a year– following the guidelines above, shred the unnecessary documents and throw out the useless manuals. To avoid clogging the filing system, for documents that you’re require to keep for 2+ years (except the lifetime documentation which you’ll possibly need constant access to), move them out of the cabinet and bind them with a staple, paper clip or treasury tag and place them in a plastic box alphabetically for storage in the attic or garage- the chances are you won’t need them again but should you need access, you’ll find it easier to get hold of what you need without too much clutter. 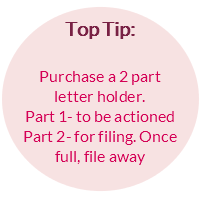 I’d also recommend investing in a two part letter holder- the first part for ‘to be actioned’ and the second segment for filing. Once the filing part is full, file the items away. Pour the remaining solution into the oven and using a cloth/sponge, spread the solution around and leave overnight. The following morning, remove the residue from the oven, following up with a wipe around with clean, hot, soapy water. With the the racks, wipe them off with clean, soapy, hot water in the sink. Alternatively, if you’re looking for something less chemically, try mixing baking soda with water (or white vinegar) to form a paste. Firstly, scrape off any excess burnt items from the oven and spread this around the oven with an old pastry brush and allow the mixture to sit overnight (ensure the paste is thick and evenly distributed). 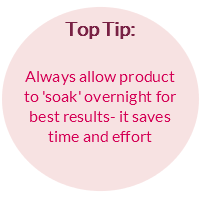 Follow up in the morning by using hot, soapy water to remove the paste. Although you’re very unlikely to be switching from your Winter to Spring/Summer wardrobe as yet (I am sure the worst is yet to come), there’s no harm in having a preemptive clear out. Especially as it’s the least fun process when you find something you love no longer fits and/or is beyond repair. Best start this as early into the New Year as possible so any much loved items that can no longer stay won’t seem to taunt you when everything else seems to be going well, it’s not great for confidence. Attempt repairs where possible– take a look at our wardrobe refresh feature to find out how to repairs holes, missing buttons, refresh smelly clothing, remove stains and how to store. If it’s beyond repair, take it to your local recycling centre where they’ll either send them to charities to be repaired, reused or reimagined. Flowchart of use– We discovered this in a Vogue article recently and it’s revolutionary. Often we end up clearing out our closets on our own and will end up vaguely justifying everything in it. Use this flowchart like a firm hand, a good friend proving the guidance you need to make the cull. Pin it to the inside door of your closet and use it each season. Be ruthless. We have a tendency to hold on to clothes we no longer want or need really, later in the year we’ll look at creating a staple wardrobe to last you years. Take a good look at your shoes– do they need re heeling? Set yourself a time limit, if you don’t get it done within that timeframe they obviously weren’t on your mind and should go. Don’t limit yourself to just your wardrobe– apply these concepts everywhere. Search the sock drawers, underwear drawers, bag cupboards, coat hangers, linens etc. Martha Stewart has created an incredible and detailed spring clean printable which will aid in considering the things long forgotten. She mentions the usual; removing items from shelves and thoroughly wiping those, as well as the best way to clean blinds as well as minor repairs. The washing machine drum and detergent tray– easily forgotten but essential for longevity. Persil have created this nifty guide to aid. If cleaning leather furniture don’t use furniture polish, it’ll dry the leather out and make the furniture appear older and will be more difficult to maintain. If you’d rather not pay for professional leather cleaners, a damp, soapy, soft cloth will do the trick. 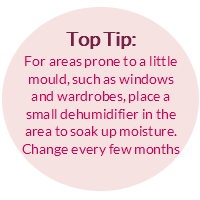 The inside of the window– open the window up wide and wipe away the grime with a mould killer or bleach- ensure you rinse with fresh, clean water. Look to other areas for a clear out– what about DVD’s, CD’s, Books, Toys etc. If no longer age appropriate, of sentimental value or use, donate to charity, sell online or do a car boot- a great way to earn a little extra cash which can be put towards something else you’d like or a fun activity.